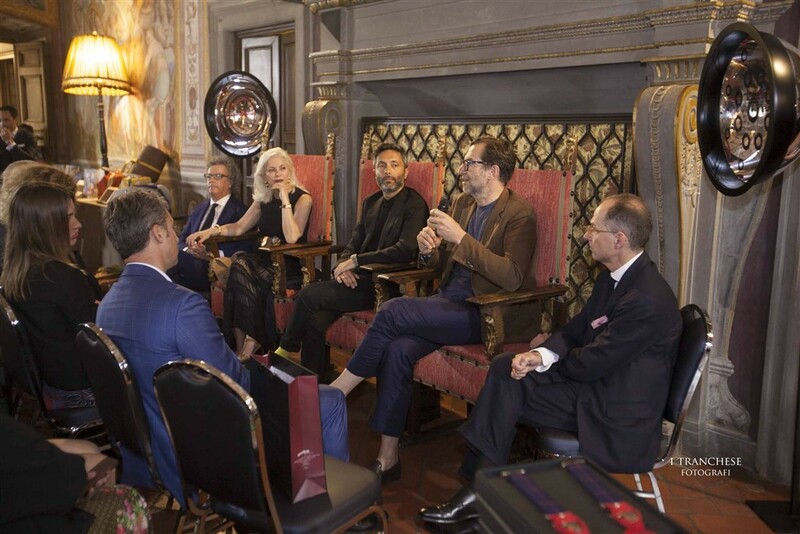 A meeting moderated by Fabiana Giacomotti, journalist, in which important exponents of fashion, such as Francesco Pignatelli of the fashion house Carlo Pignatelli, Bernhard Roetzel, well-known German author, and Umberto Pacotto of Lanificio Cerruti, have exponed their visions on the future of fashion with a look at the roots of “tailor-made” tailoring. 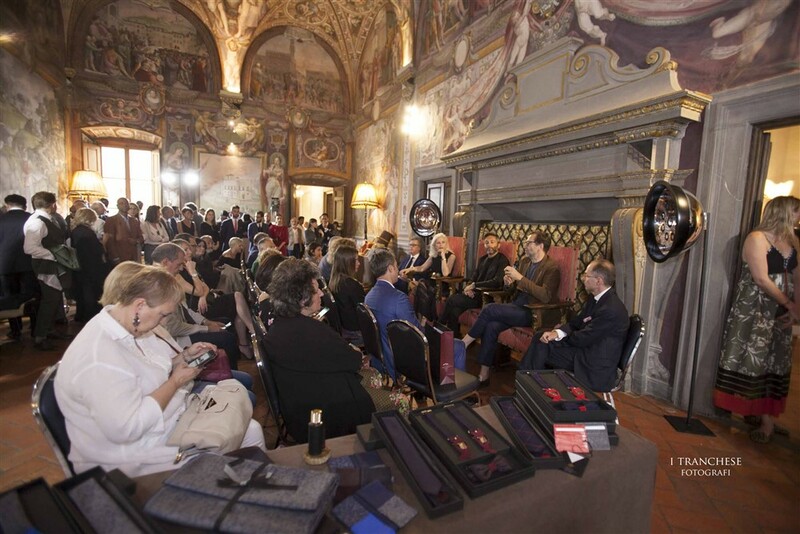 Special partecipation of Fabiana Giacomotti (well-known journalist), Francesco Pignatelli (maison Carlo Pignatelli), Bernhard Roetzel (well-known German author) and Umberto Pacotto (Lanificio Cerruti). 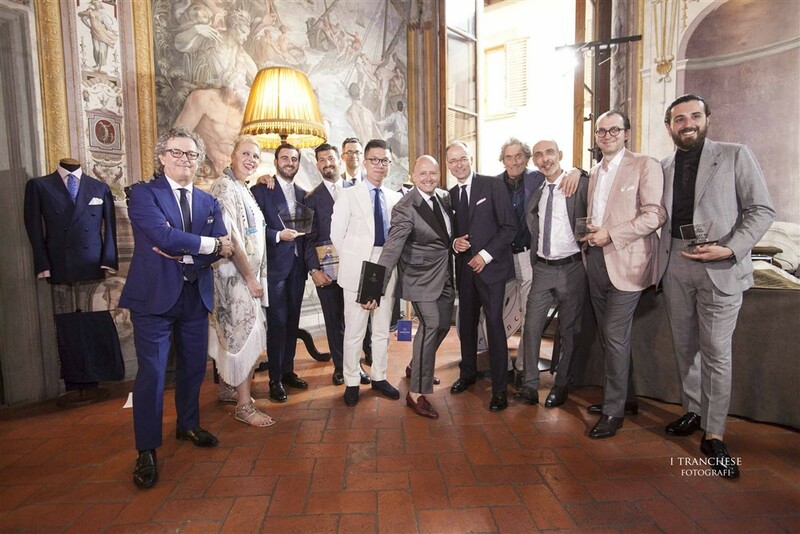 A challenge for the finest tailor of new generation on global level, featuring: Gennato Annunziata (Sartoria CHIAIA, Naples), Timothy Fain (Sartoria FAIN, Kiev), Angel Ramos (Angel Bespoke, New York), Charles de Luca (Stark&Sons, Paris), Vicenzo Cuomo (Sartoria Cuomo, Naples) and Fabio Sodano (Sartoria Sodano, Naples). 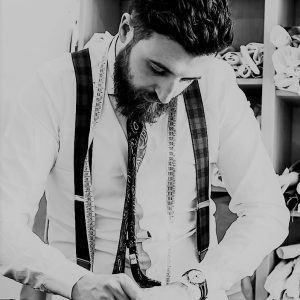 CHIAIA Napoli is a young artisanal company that has made its way into the sphere of international tailoring and men’s couture with a stylistic concept rooted in the bespoke tailoring tradition of Naples. 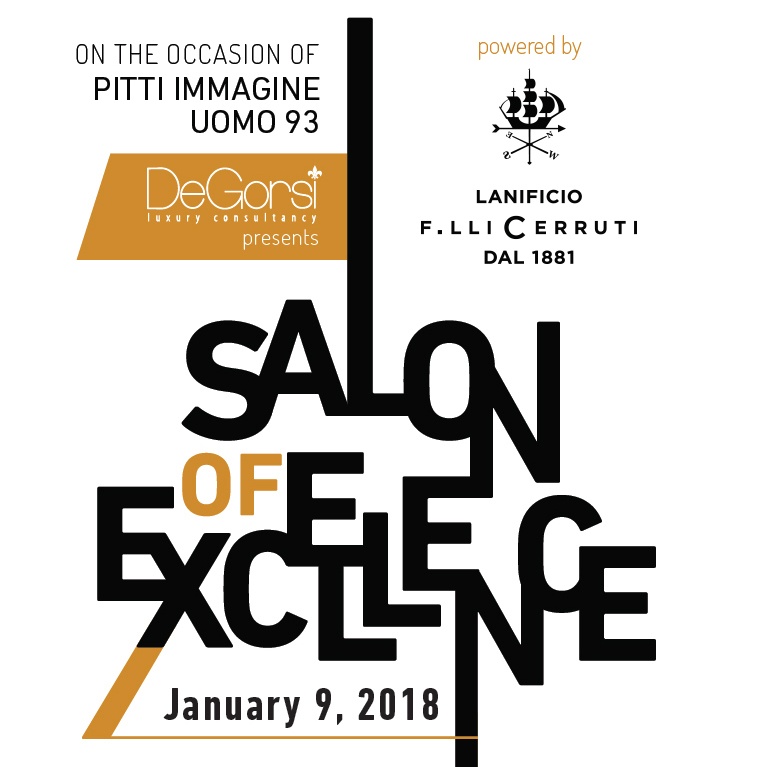 ​Its name is dedicated to the famous district of Naples, where aristocrats, gentlemen and celebrities have created a temple of the elegance during the classic era of men’s style and fine tailoring, and era that luckily appears to return to a contemporary Renaissance in our time. 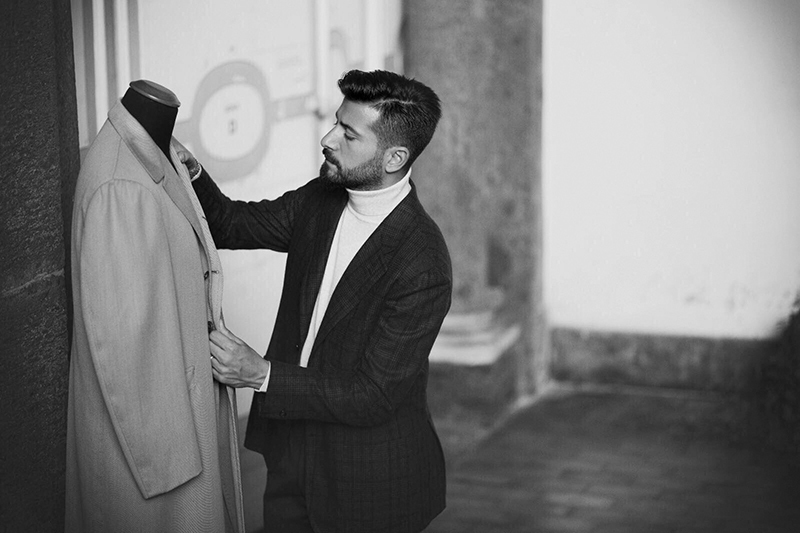 However, CHIAIA is not just a typical neapolitan tailoring firm, while we respect its canons and quirks, we aspire to stylistic innovation in cut and details making the CHIAIA suit an extraordinary product. 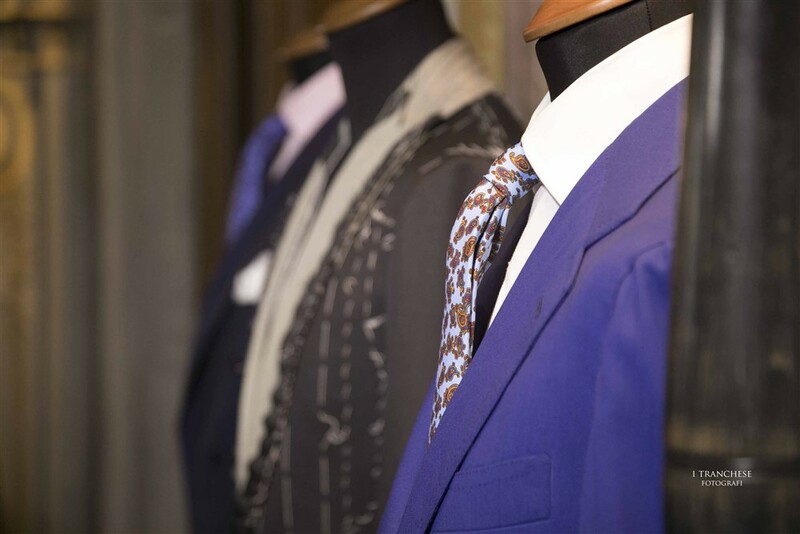 Stark and Sons is a Parisian bespoke tailor established rue de la Paix since 1910. 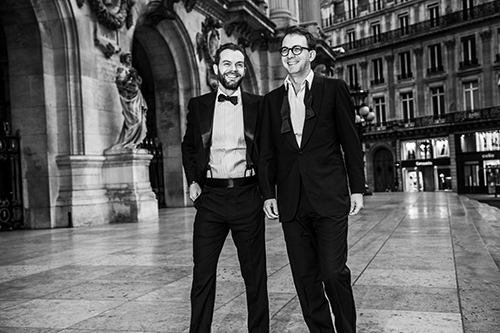 Three generations of tailors succeed one another, allowing the now century-old family business to gracefully cross the ages and is one of the great Excellence of French Know-How (“Entreprise du patrimoine Vivant”) (EPV). With Charles and Julien, sons of the master tailor Marc de Luca, Stark and Sons is fed by an ambitious project in the definition of a new line. Stark and Sons is definitely a Parisian tailor. But to its historical character is added a stylistic signature of importance. The cut brings together the classic style of Saville Row and the suppleness of an Italian style. Stark and Sons is the subtlety of the Parisian school. 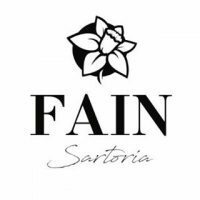 Let the word “sartoria” on my sign will serve as a sign of respect to the traditions of Italian tailors, and my name is a guarantee of an individual approach to each gentleman who trusts us with the care of his wardrobe. Our clients are men with their own point of view, who appreciate the quality of life. Individuality is the expression which we never tire of repeating. For us it is not just a slogan. We know that behind these words and work hard to comfort us, You feel special. 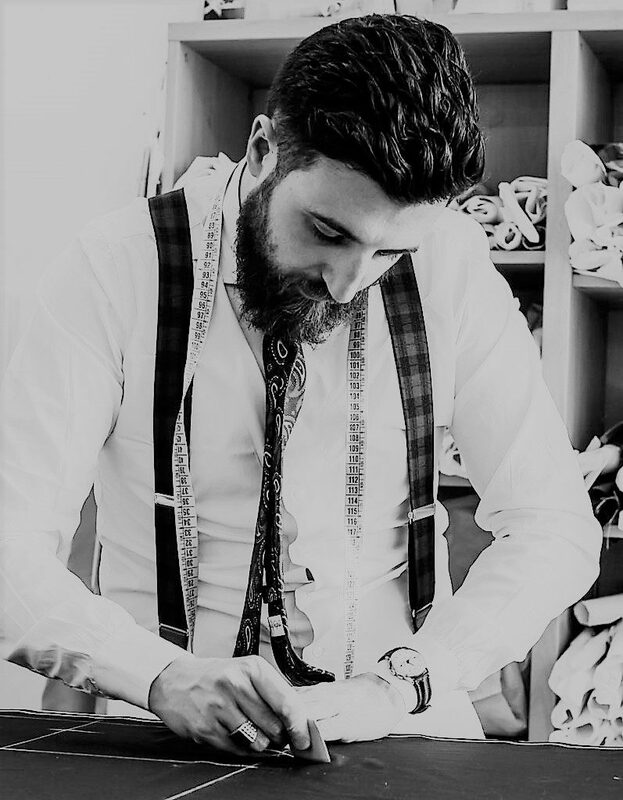 We know that sometimes you need a change and will help You not only when You need a new suit, but if You want to update your wardrobe to create individual style or completely change the image. Vincenzo Cuomo does not remember exactly at what age he started, but he remembers always playing with needle and thread … Son of a tailor with almost osmotic relationship with his father, he has always been around his father’s tailoring workshop.For him making a toppa pocket, or a nice pair of fronts, creates real satisfaction, in particular seeing in the mirror the customer who smiles… Cuomo wishes to make it clear that behind a jacket, there are not only stitches and seams, but there is a sense of taste, beauty, an ancient and traditional passion, for art and a day job. Their jackets and trousers, are worked the same way as it were 60/70 years ago, respecting the ancient Neapolitan sartorial tradition. An art bridge between past and present. I see a brand that is recognized globally for being synonymous with unparalleled sartorial style, amazing quality and unmatched customer service. 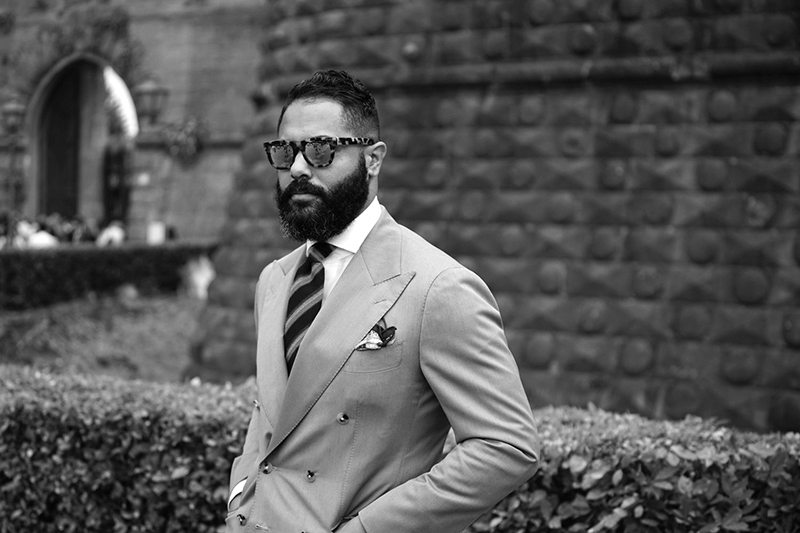 I see a global brand, one with private showrooms around the world, with sartorial clothiers who have a passion for menswear and want nothing else but to convey that passion to customers globally. 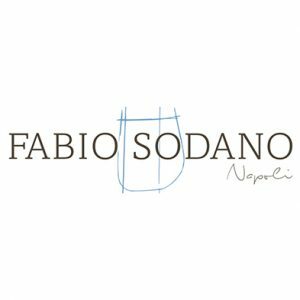 Fabio Sodano started to work in haute couture when he was very young. 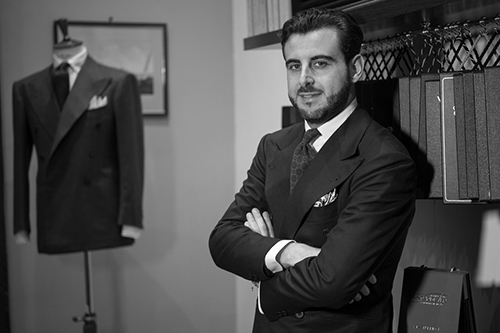 He inherited the passion for tailoring from his grandfather that was a great Neapolitan tailor: Fabio was fascinated by a profession made of sacrifice, but also made by elegance, precious fabrics and handmade masterpieces. 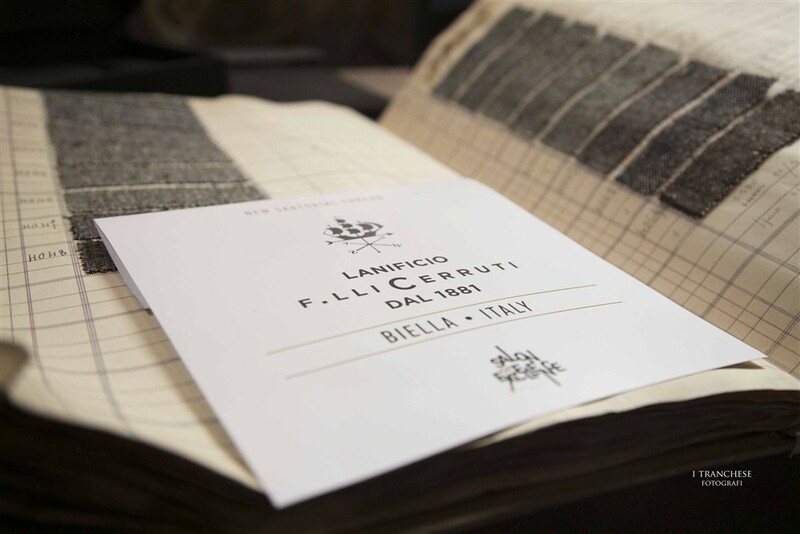 So he learnt from the great tailors the golden rules of Neapolitan tailoring and decided to begin a personal journey with his own brand, with collections that offer tradition and innovation. 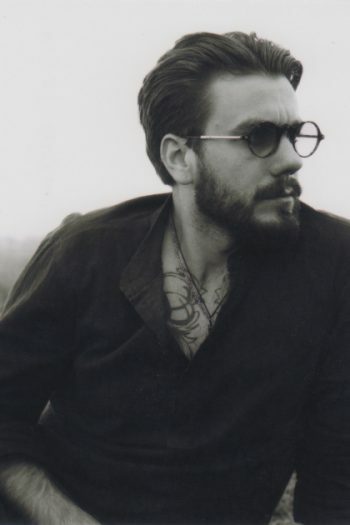 His work is now dedicated to men who want to wear unique clothes as a second skin. He brings his whole experience to the laboratory and turn it into delicate processing steps, that he performs with his tailors.